Welcome to this edition of Productive Business Magazine – The power of collaboration. Its an honor and a pleasure to bring to you the best and the brightest from all around the world as we talk productivity in business. Today I have the pleasure of introducing you to a good friend of mine, Billionaire P.A. Having a plan, positive outlook and a wealthy mind are three key components to living a productive and wealthy life. Living in a world where you can do and be just about anything that you want to be is awesome, but what does it take to be kind and appreciate others regardless of what they look like or where they come from? A young man that knows this all too well is Billionaire P.A. Looking at Billionaire P.A. today, you would never know that he had a troubled past. He grew up down south and had been to jail 15 times before the age of 21. 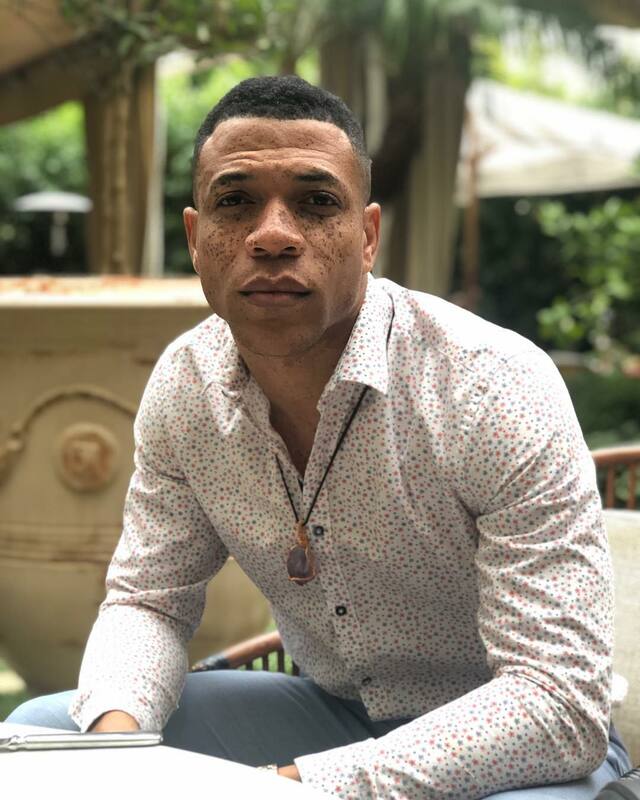 After two felonies, no money, being homeless and living out of his truck, he made up his mind and decided to turn his life around? PBM: What is Wealthy Minds? Billionaire P.A. : Wealthy Minds, Inc., was founded by Billionaire P.A. and is headquartered in Beverly Hills, California. PBM: What is the mission of Wealthy Minds? Billionaire P.A. 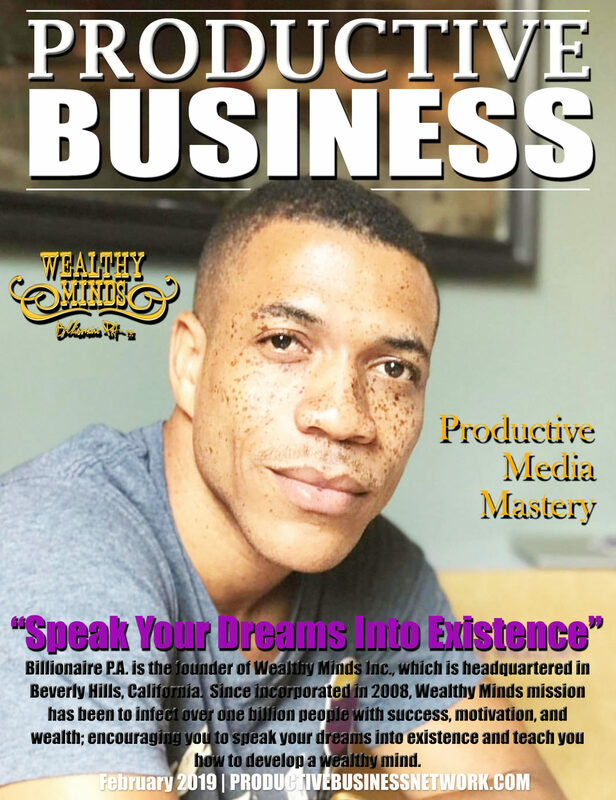 : Since incorporated in 2008, Wealthy Minds mission has been to infect over one billion people with success, motivation, and wealth; encouraging you to speak your dreams into existence and teach you how to develop a wealthy mind. PBM: How has Wealthy Minds expanded over the years? Billionaire P.A. : In a brief period of time, Wealthy Minds, Inc., has managed to evolve into a multifaceted corporation, with the intent of delivering an uplifting experience to the world, in more ways than one. PBM: Share with our readers a few of the divisions of Wealthy Minds? Billionaire P.A. 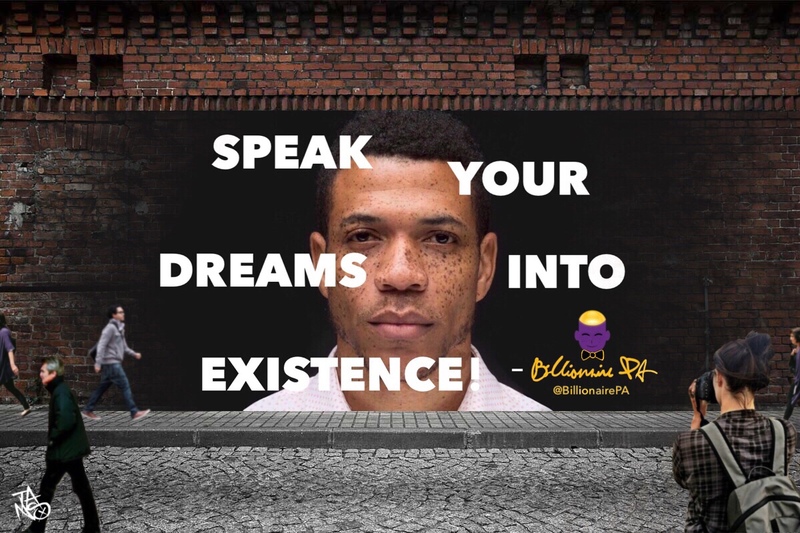 : So, whether your daily dose of inspiration is received through our Dream Wall, themed clothing apparel, documentaries, films & TV shows, inspirational videos, music, and books are just a few. PBM: What are some of the programs that Wealthy Minds offer? Billionaire P.A. : We have multiple programs like our sponsor a kid’s dream, sponsor a homeless dream, our mentor programs or the motivational speeches by Billionaire P.A. ; Wealthy Minds, Inc., will undoubtedly encourage you to “Speak Your Dreams into Existence” and teach you how to develop a wealthy mind. PBM: What is the latest partnership or collaboration that Wealthy Minds is engaged in? Billionaire P.A. : We are currently collaborating with partners like yourself Dr. V in Arizona, who are helping us push the message of inspiration/motivation to “Speak Your Dreams Into Existence” around the world. We have a Billboard project where we are infusing motivation/inspiration and positive marketing in local cities and states. We also have a Mural project that is meant to inject motivation/inspiration and positive marketing in local communities, cities, and states. The Mural project gives neighborhoods, community centers, and businesses the opportunity to have a Wealthy Minds mural painted inside or outside of their establishment. People literally will come from all over simply to record themselves “Speaking Their Dreams Into Existence,” and posting it on social media. This creates publicity, education, and awareness of the local establishment; a wealthy win-win for everyone. Here are two mural projects, one in LA and the other in a neighborhood in Atlanta (619 Boulevard Ne Atlanta). PBM: Exciting work Wealthy Minds is doing, I am sure there are some future things in the works? Billionaire P.A. : Wealthy Minds, Inc., is a multi-faceted corporation and is continuing to evolve inspiring the world to speak their dreams into existence. Subsidiary companies of Wealthy Minds, Inc., consist of Wealthy Minds Entertainment, Wealthy Minds Clothing, Wealthy Minds Speak Dreams, Sponsor A Kid’s Dream, Sponsor A Homeless Dream, Speak Dreams Publishing, & Billionaire P.A. Click to listen to My Mind Is Wealthy Music Preview. Dr. V, I know we will be talking again in the near future about collaborations on other projects. I just want to say, I appreciate your existence, Dr. V.
© 2019 ProductiveBusinessNetwork.com - All Rights Reserved"Be Productive Or Be Replaced; Setting A Standard."